If there is one thing that you need to learn, it should be performing CPR (Cardiopulmonary Resuscitation). CPR is a life saving method useful in numerous emergencies like drowning or heart attack. If the person’s heart beat or breathing stops, it is time that you perform CPR. It is recommended that all people know how to perform CPR because it can save lives. When you encounter an emergency, the first thing that you need to do is call for help. While waiting for help, you should perform CPR. If you are not trained, you can simply perform hands only CPR. Hands only means uninterrupted compressing of the chest until help arrives. If you are trained and you are confident, you should perform CPR and rescue breaths right away. If you are trained but out of practice, you can perform chest compressions while waiting for help to arrive. When the person’s heart stops, the insufficient supply of oxygen to the brain can lead to brain damage and eventually death. In a matter of minutes (8 to 10 minutes), the person may die. 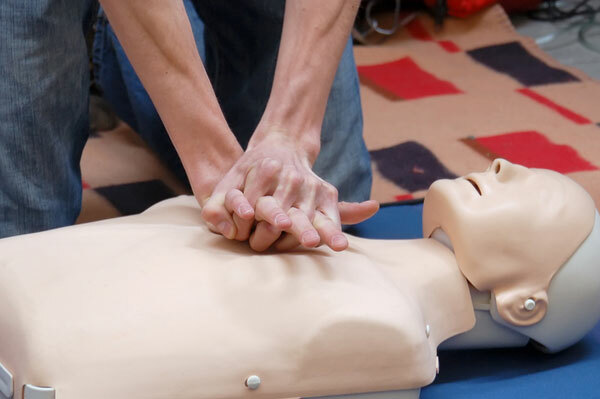 If you want to learn about CPR, you should look for accredited training centers. If you want, you can learn how to use the AED (Automatic External Defibrillator) so it can correct an irregular heartbeat. There are countries that equip their public place with portable AED machine. You will never know when you can use CPR. As early as now, you can enrol at first aid trainings. Do not wait for something to happen before you learn this. CPR is not only for adults, you can employ CPR on a child or baby. Do not underestimate this skill because this is the difference between life and death.